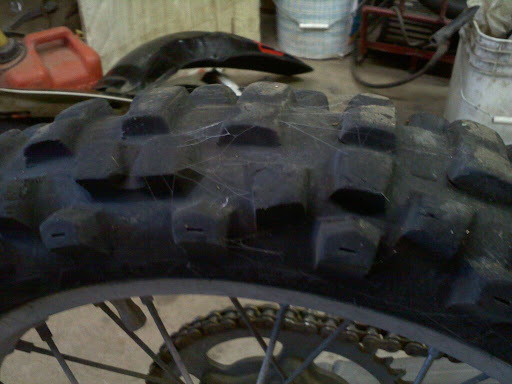 When there's friggin spider webs on my tire it's a pretty good indication that I've been off the bike for way too long. Fortunately the prognosis at my last visit to the Dr. was good and I'll be back on the bike within a week. I just had to share this picture as it kind of says it all. Dude, there's spider webs on your tire! you need a new tire! Jeff, be quiet! His tires are just fine.